I LOVE slippers. Really, I do. You might think I wander around my house in my shoes (because I love them too) but the first thing I do when I get home is take them off and put my slippers on. Because if there’s one thing I really value in life – and you might have gathered this by now – it’s being comfortable. why get dressed when you have slippers to road test? Trouble is, most slippers are a bit ugly. Or look like they belong on your gran’s feet rather than your own. 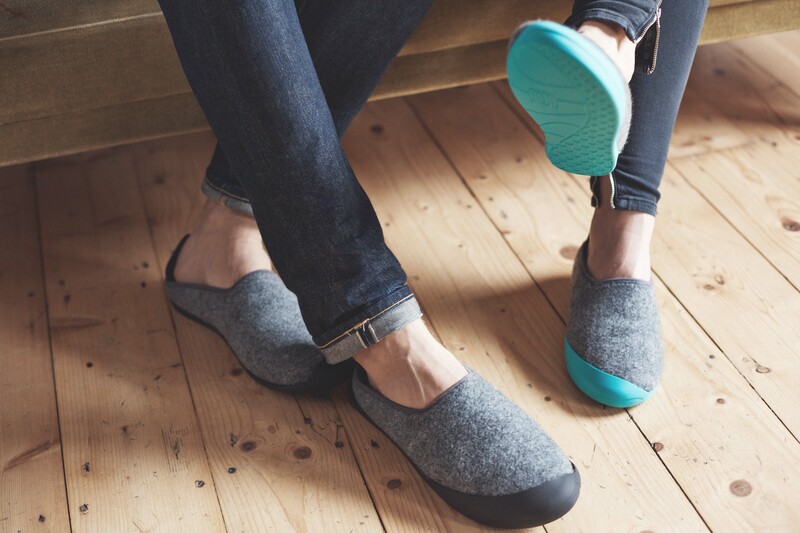 So I am delighted to have come across Mahabis – these cool, grey felt slippers actually look nice! If you’re a fan of Birkenstock, you’ll probably appreciate the clog-style aesthetic. But the good news doesn’t stop there. Ever done that thing where you pop outside in your slippers, maybe for a bay leaf for your spag bol, and totally misjudge how wet it is outside? And by then it’s too late…your beloved slippers are ruined. 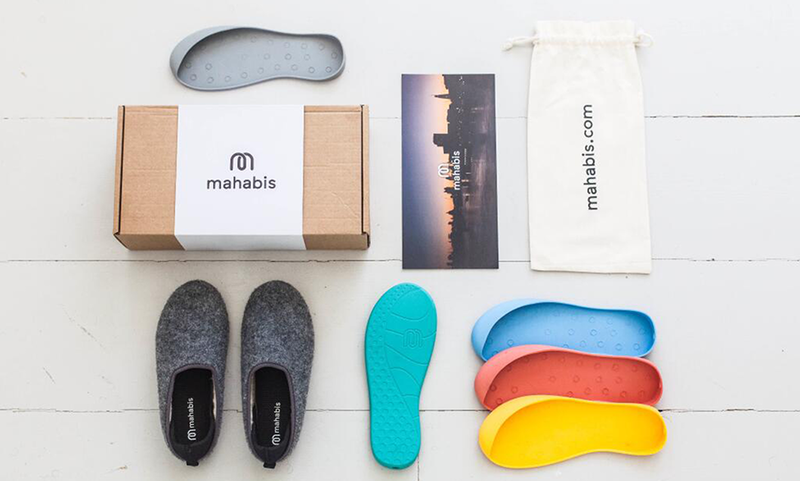 Mahabis have the nifty option of a removable rubber sole (which also looks pretty cool if you ask me, particularly in a contrasting colour) that protects your slippers if you wear them outside. You can just keep them by the door and pop them on if you need to. There are loads of colours, from grey for a more subtle look, to bright yellow (my favourite). 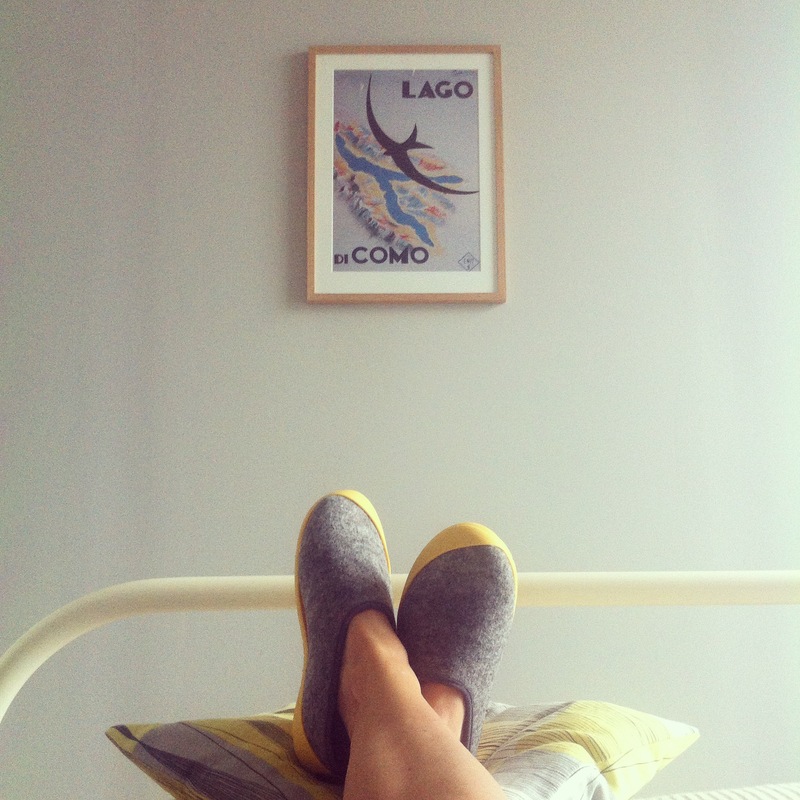 If these nice lifestyle pictures from Mahabis are anything to go by, you might even want to wear yours down the pub! I’ve been pottering around the house in mine this morning and I can confirm the most important point: the are REALLY comfortable. would you wear them down the pub…? Ah, these look great! I have a pair of Glerups, which look very similar – they even come in an ankle boot shape. But I love the removable rubber sole on these. I bought Glerups with rubber soles rather than the suede, and after 2 years there’s a bit of a hole in one, and there’s not much I can do. I have walked halfway to the shop in my slippers a couple of times for sure. well you can replace the sole on these if they wear out so they sound perfect for you! I live in my Glerups – best footwear ever IMO. I got the leather sole and I do step outdoors occasionally, but not if it’s raining. They are one year old and look as good as new. Love the idea of the removable sole, although I wish these came in a bootie – it gets COLD in my house in winter and low slippers leave my ankles exposed to the draft. Oh yes a bootie would be great! slippers just arrived and they are great, so comfy, and great for outside,think i could deff take them up the road for daily dog walk. How flat are mahabis? Are flat like foot practically on the floor or is there any contouring? I can’t wear flat-flat but the like of fitflop are great. I’d really like mahabis tho.